It is very likely that the JEREMIAH buried in this grave is the son of JEREMIAH who is buried in the adjoining grave ( No. 11 ) . .
1. TIMOTHY (THADY) O SULLIVAN of RAHEEN and CROWHILL. 2. THADYs wife CATHERINE ( KIT) (nee LONG). 3. THADYs son MICHAEL of RAHEEN who died in 1903. 4. MICHAELs wife MARY (nee CROWLEY , COOLMOUNTAIN) who died in 1918. 5. MICHAELS son TIM of 48 DOUGLAS ST., and 74 UPPER DOYLE ROAD, CORK who died on7/10/1934 and formerly of RAHEEN. 6. MICHAELs son JOHN O SULLIVAN of RAHEEN who died in January 1944. 7. 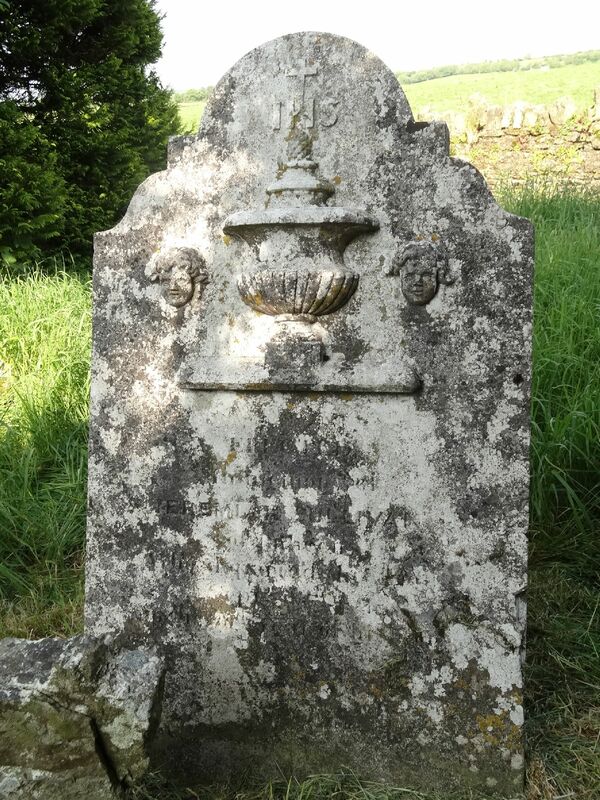 MICHAELs son CHARLES (CHARLIE) O SULLIVAN of RAHEEN who died on 18/ 4/ 1956. 9. MICHAELs son MICHAEL (MIKE ), " MOUNT PROSPECT", Bandon (and formerly of Dorset St., London, Stockbury, Kent and RAHEEN ) who died on 4 / 8 / 1930. BALLINCOURNEENIG who died on 14/ 11/ 1962. 14. THADEs son MICHAEL of KNOCKATREENANE. KNOCKATREENANE) who died on 14/ 5/ 1986.